Portland's air is moderately bad, but in Grants Pass it's the worst in the country. It feels a little hazy out there again, doesn't it? That's because Portland's air currently has an Air Quality Index of 64, which is measured at moderate. Usually, Portland's air is at the "good" level of 0-50. While this air quality hardly compares to the city's air quality earlier this month, when Portland's air was worse than Shanghai's, it is nonetheless smoggier than normal. Unfortunately, it's going to get worse tonight. Fortunately, it's only going to get a little bit worse, says meteorologist David Bishop at the National Weather Service. "Our forecast has it clearing out Tuesday, when this will clear out is all going to depend on when we get our onshore winds to start coming in," Bishop says. "As we start approaching Tuesday morning and Tuesday afternoon, the vast majority of the smoke should be out of the area." Bishop says the smoke is coming from fires burning in Southern Oregon and Northern California. 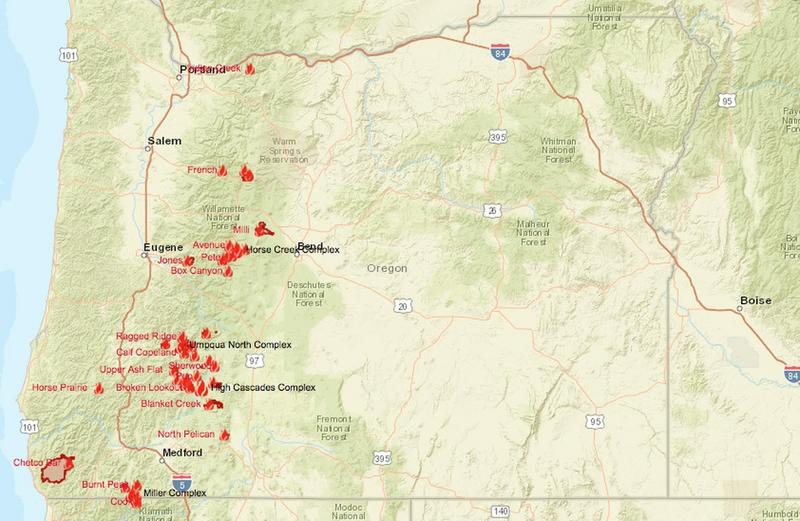 Smoke from these fires are affecting the air quality of other Oregon towns drastically. Right now, Grants Pass has the highest AQI in the United States, measuring at 241, which is considered "very unhealthy." To compare, earlier this month, when Portland's air quality reached its most unhealthy level, the AQI was measured at 212. Government Camp, Albany, Sweet Home, Sisters, Bend, Medford, Klamath Falls and Ashland are also experiencing air quality levels in the "unhealthy" range.